Web banners are a descendant of the display ads used in newspapers and magazines. The old newspapers were very profitable businesses in their day. Modern digital publications are much less so. So why did the banner work so well in print and why is it problematic in digital? This is the question we'll explore below. 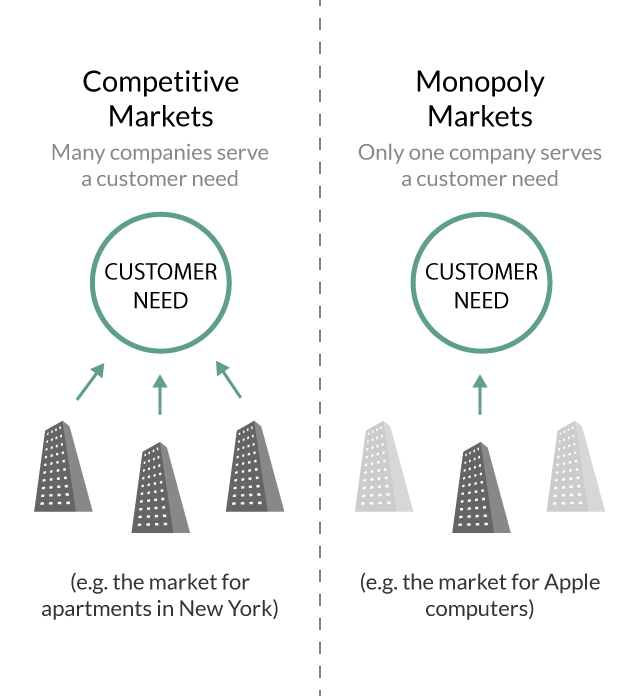 Competitive markets are markets that many companies can serve (e.g. the market for apartments in New York). Monopolistic markets are markets that only one company can serve (e.g. the market for Apple Computers). Monopoly suppliers have pricing power. Competitive suppliers do not. The old newspaper companies had pseudo or direct monopolies over large geographic areas. Digital publications have no such monopolies (just think – a brand new YouTube channel could be bigger than the nytimes.com today). The old newspaper monopolies had good reason to keep their banners healthy; they owned the revenue streams derived from them. The ad agency ecosystem was one indication of that care. The fact that many newspaper groups had ad art divisions is another. The modern web banner (as conventionally conceived) brings about the classic tragedy of the commons problem. Nobody is responsible for it and so everybody mines it for what it's worth even if that hurts the overall ecosystem. When an advertiser has total creative control over a banner they have plenty of options of where to place it. Since no publisher has any meaningful monopoly-like position, publishers are price takers and have no real incentive to maintain the integrity of the banner product as such. A Network for New Monopolies? In order for digital publications to take care of their ads they have to have some kind of monopolistic ownership over them. This is why Adlove is structured to share creative control between advertisers and publishers; it puts skin in the game for publishers by linking their revenue to their reputation.